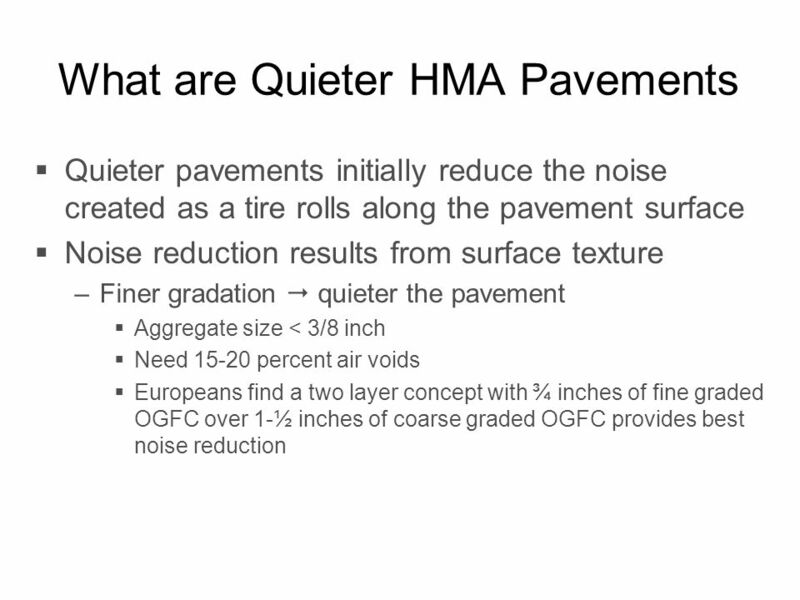  Noise basics  What are quieter pavements? 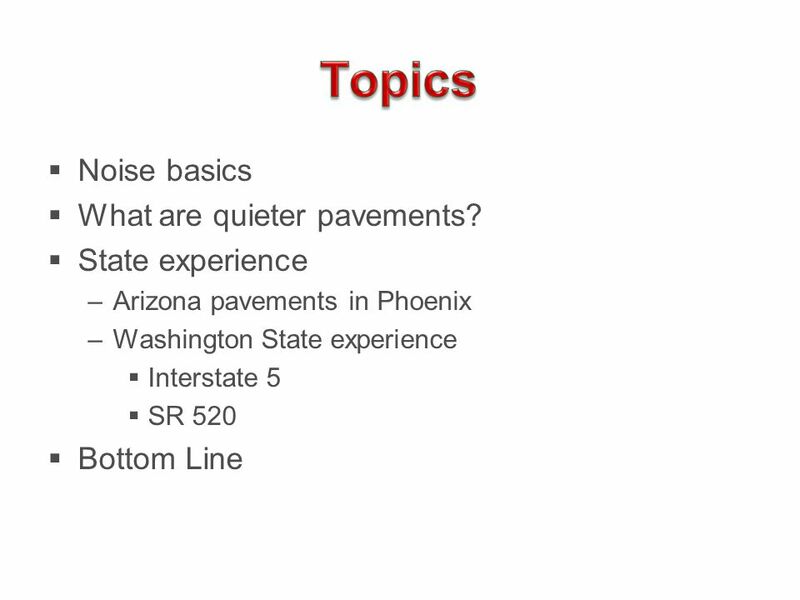  State experience –Arizona pavements in Phoenix –Washington State experience  Interstate 5  SR 520  Bottom. 5 Noise Basics  Sound level change of 1 dB can barely be detected by humans  Change of 2 to 3 dB, barely noticeable. 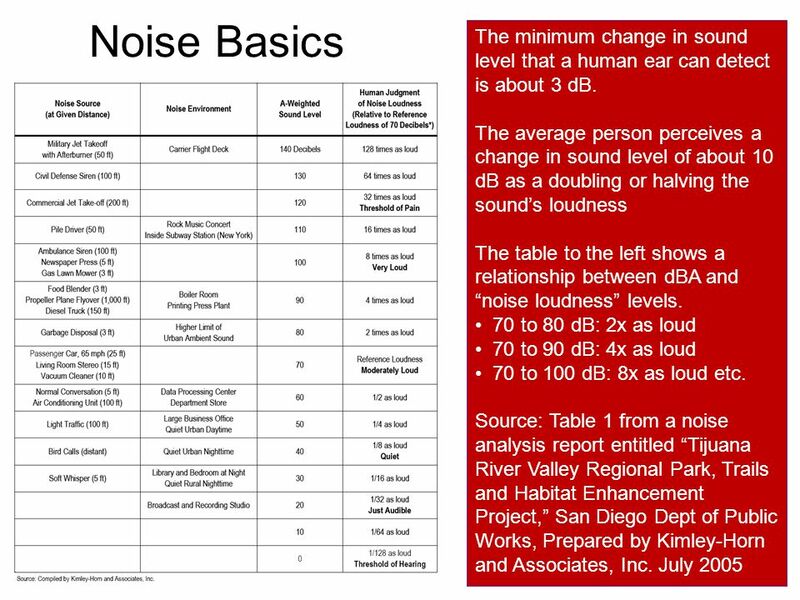  Change of 5 dB, readily noticeable. 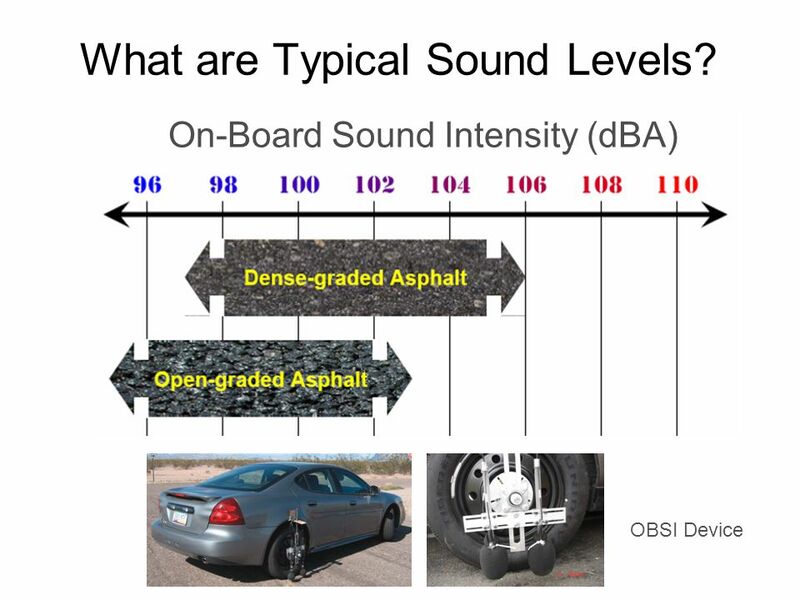  Change of 10 dB perceived as a doubling in loudness. 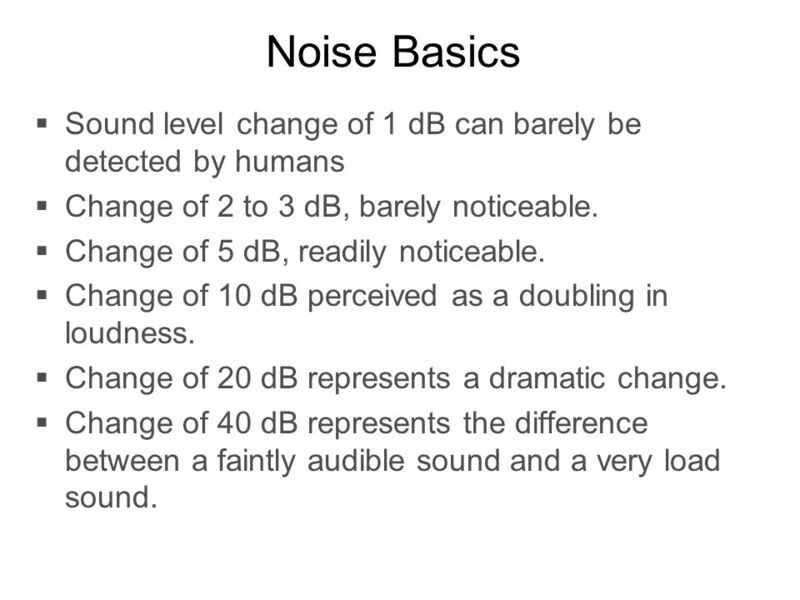  Change of 20 dB represents a dramatic change. 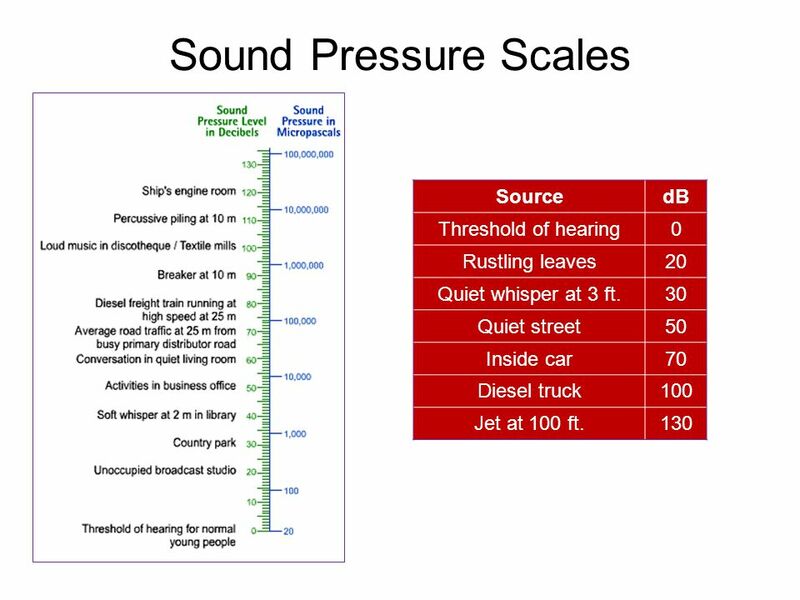  Change of 40 dB represents the difference between a faintly audible sound and a very load sound. 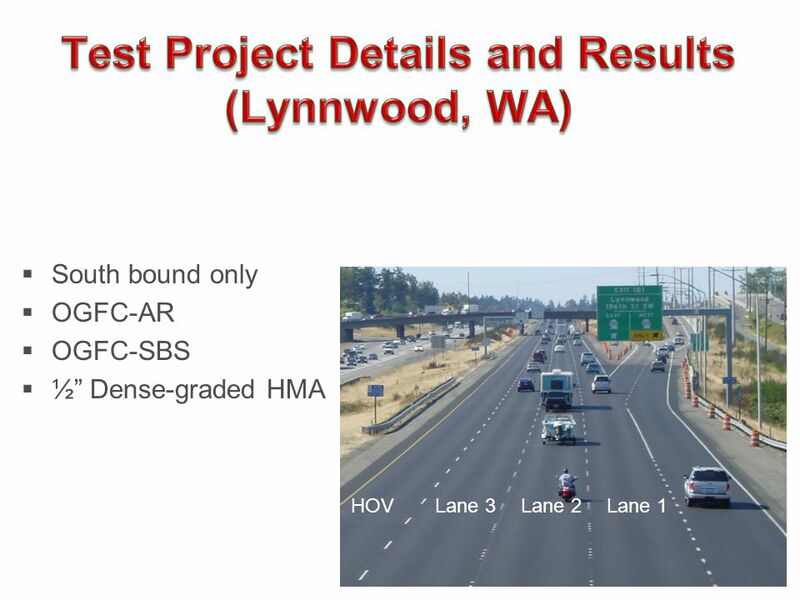 Source: ”Fundamentals and Abatement of Highway Traffic Noise” FHWA, June 1973. 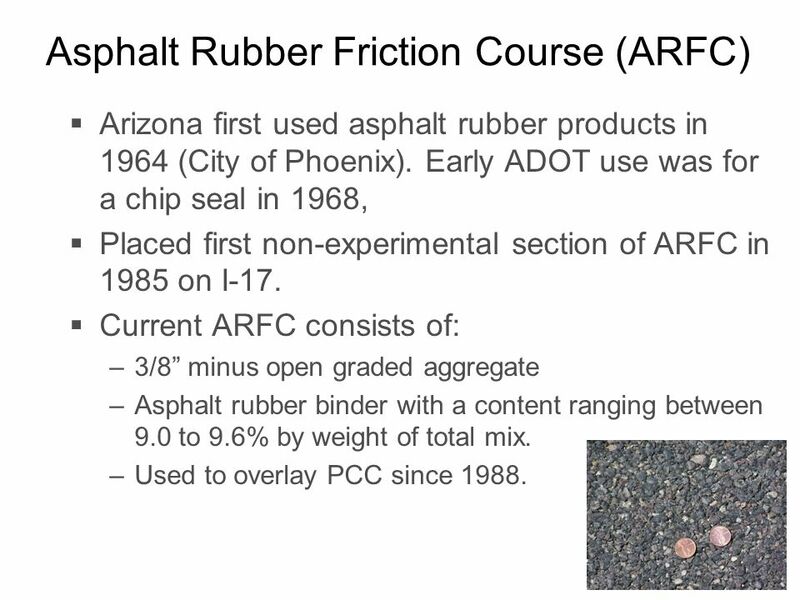 18 18 Asphalt Rubber Friction Course (ARFC)  Arizona first used asphalt rubber products in 1964 (City of Phoenix). 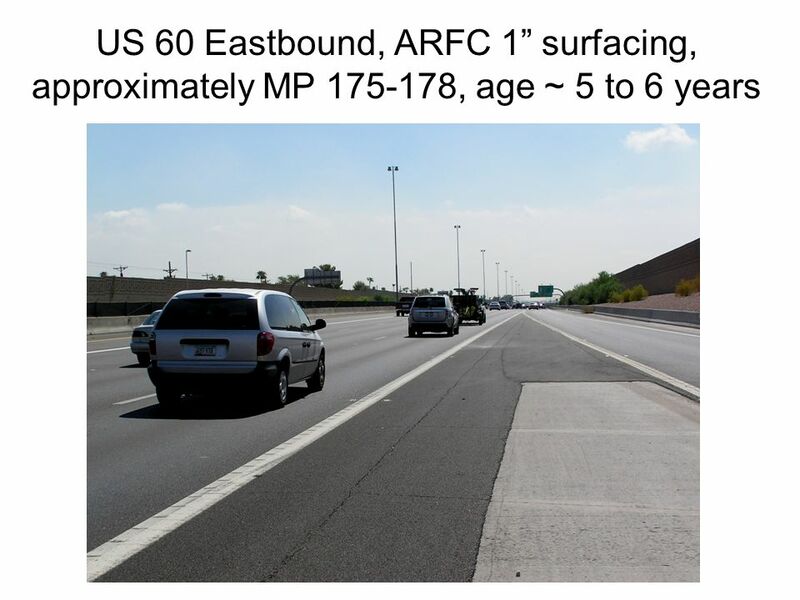 Early ADOT use was for a chip seal in 1968,  Placed first non-experimental section of ARFC in 1985 on I-17. 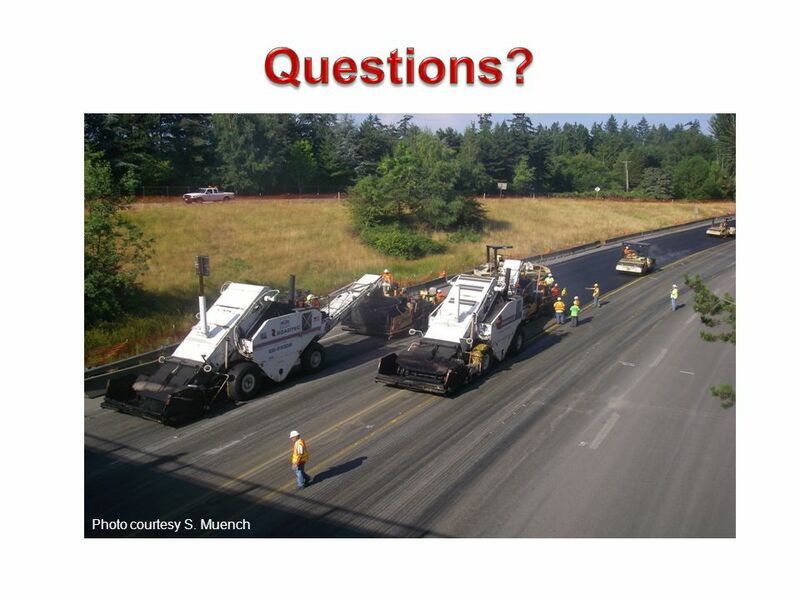  Current ARFC consists of: –3/8” minus open graded aggregate –Asphalt rubber binder with a content ranging between 9.0 to 9.6% by weight of total mix. 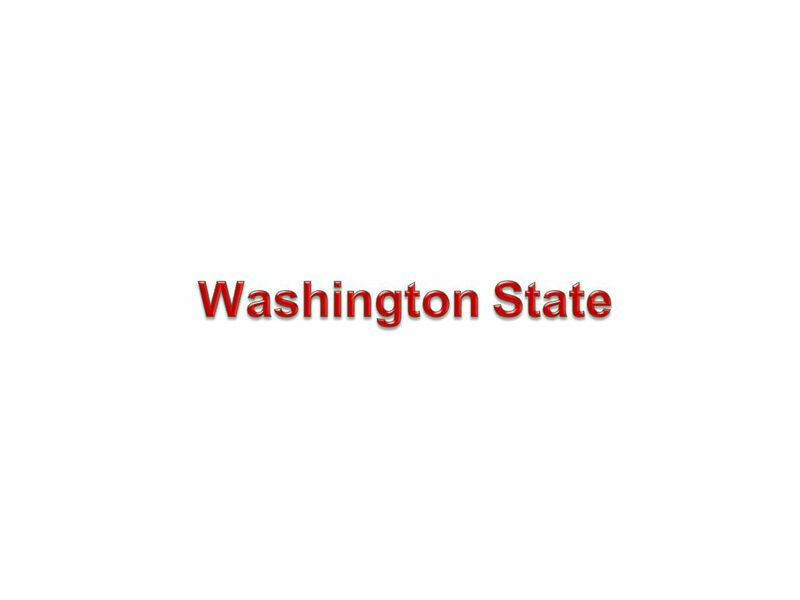 –Used to overlay PCC since 1988. 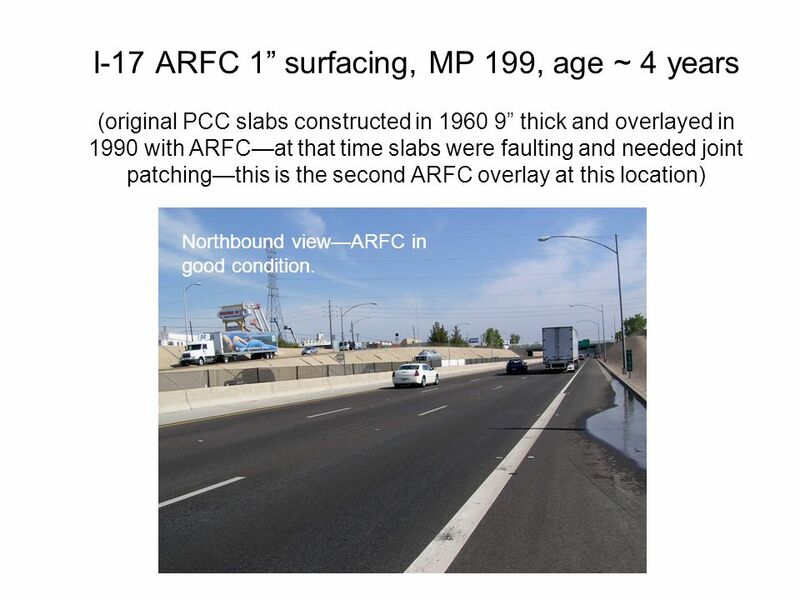 19 I-17 ARFC 1” surfacing, MP 199, age ~ 4 years (original PCC slabs constructed in 1960 9” thick and overlayed in 1990 with ARFC—at that time slabs were faulting and needed joint patching—this is the second ARFC overlay at this location) Northbound view—ARFC in good condition. 21 PCC approximately 11 to 13 inches thick. 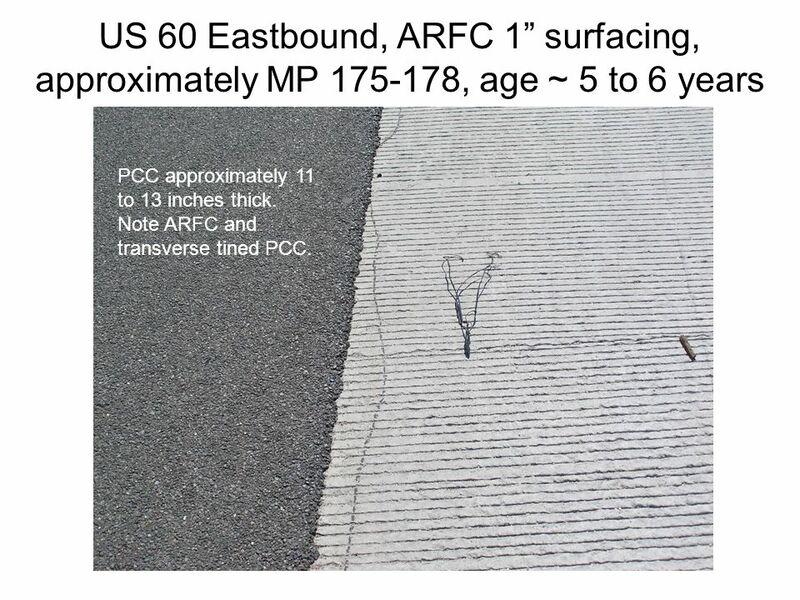 Note ARFC and transverse tined PCC. 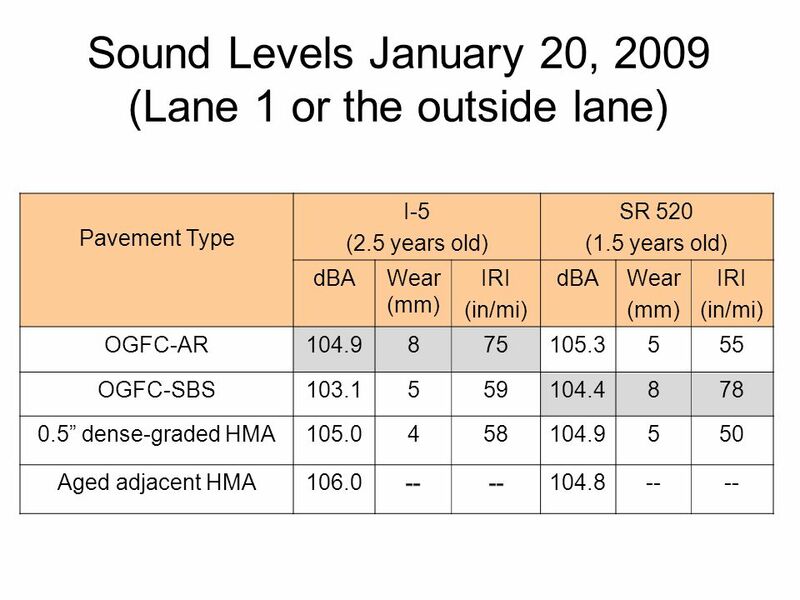 33  Open graded surfacings have converged on dense graded HMA with respect to measured sound levels. 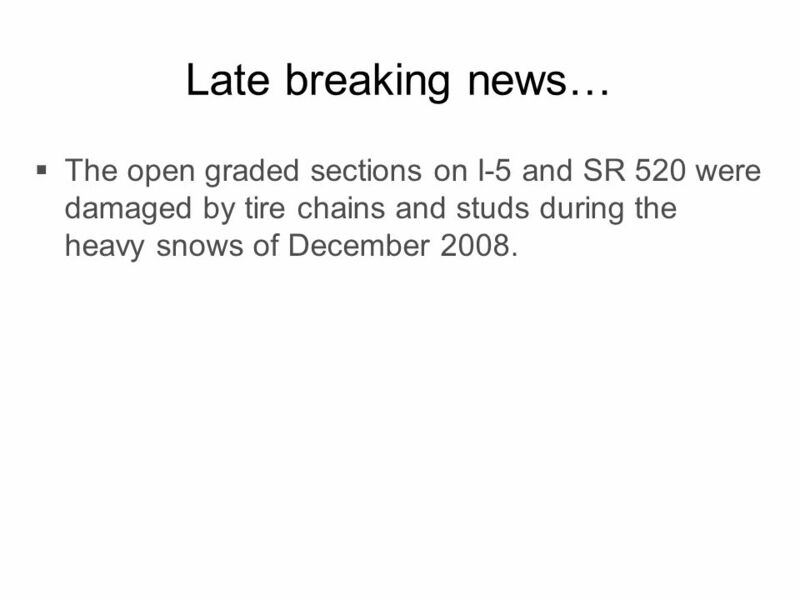 Snow during December 2008 accelerated the convergence. 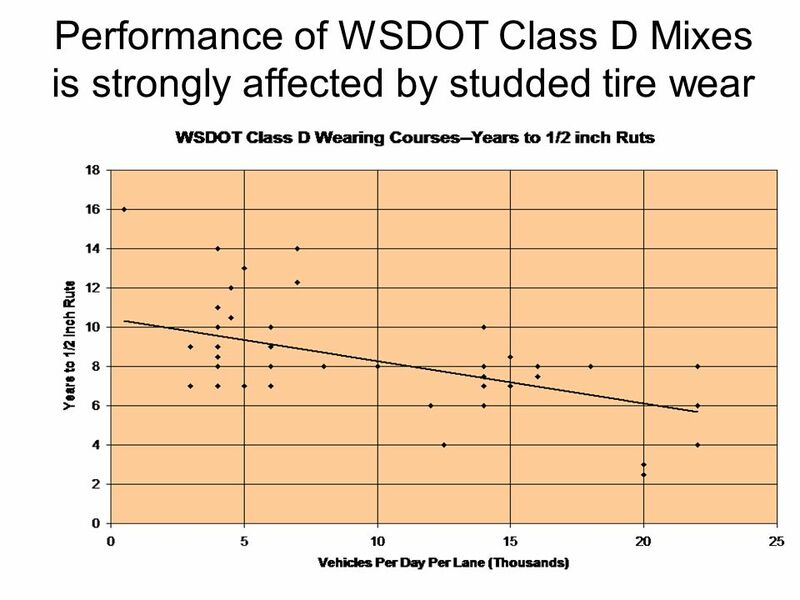  Improved binders have not solved the studded/chained tire problem. 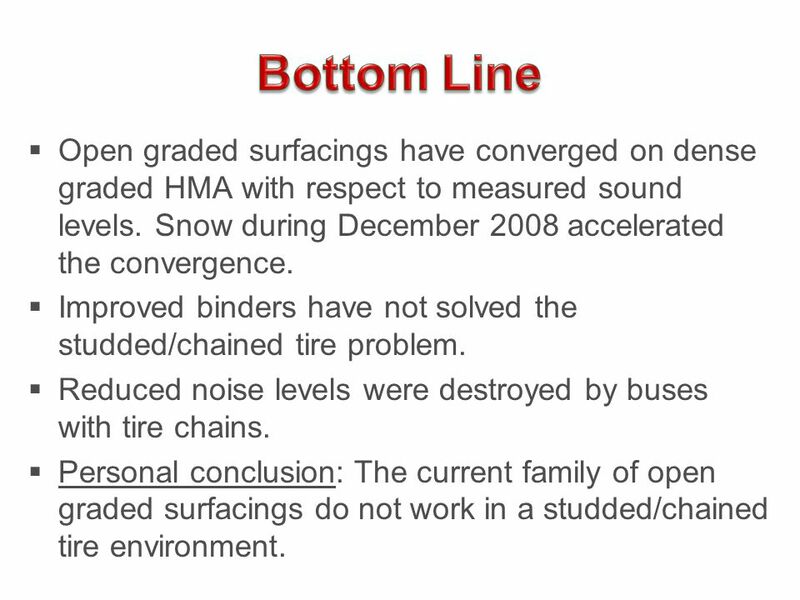  Reduced noise levels were destroyed by buses with tire chains. 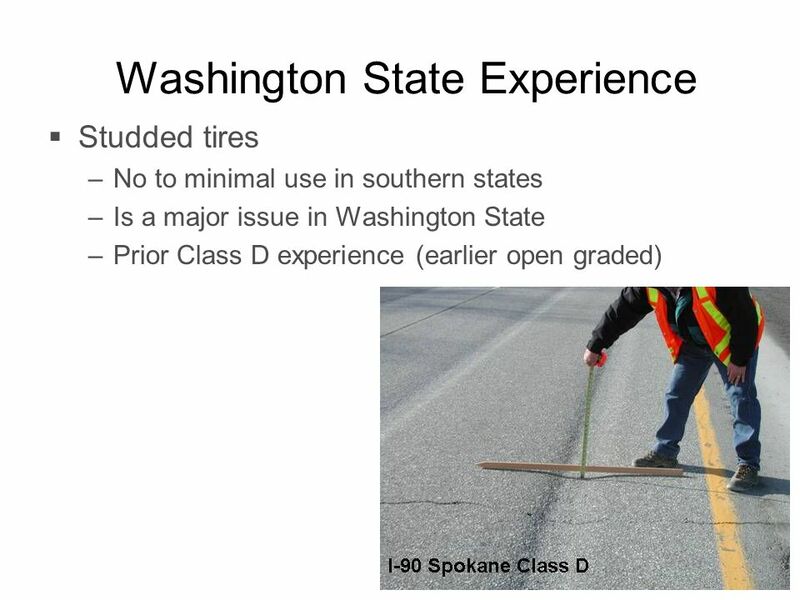  Personal conclusion: The current family of open graded surfacings do not work in a studded/chained tire environment. 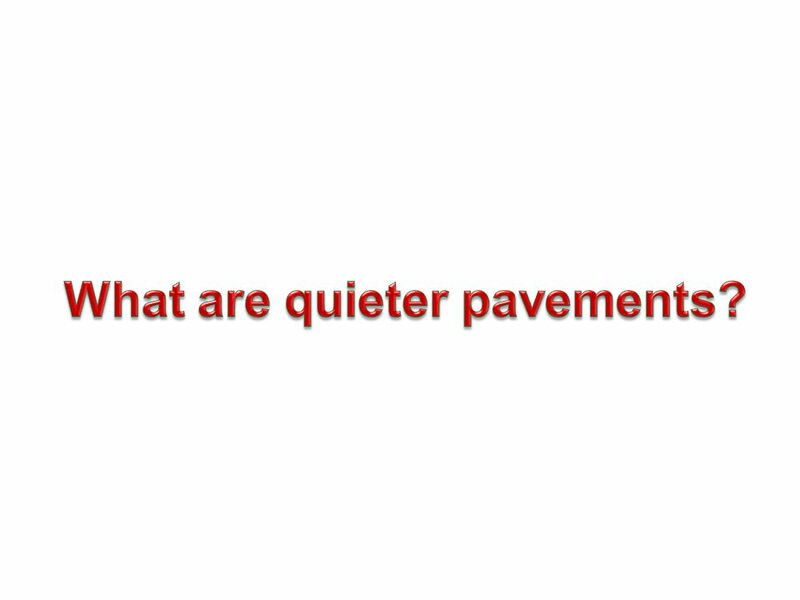 Download ppt " Noise basics  What are quieter pavements? 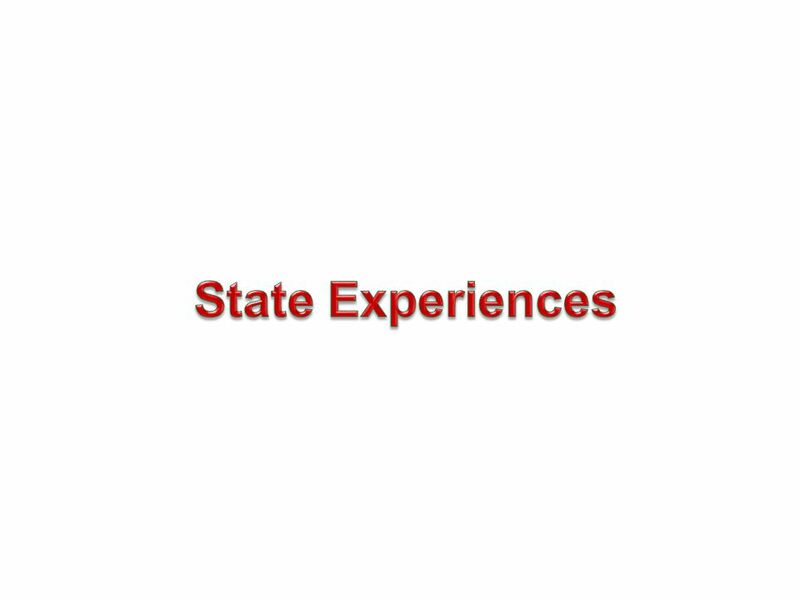  State experience –Arizona pavements in Phoenix –Washington State experience  Interstate 5  SR 520  Bottom." 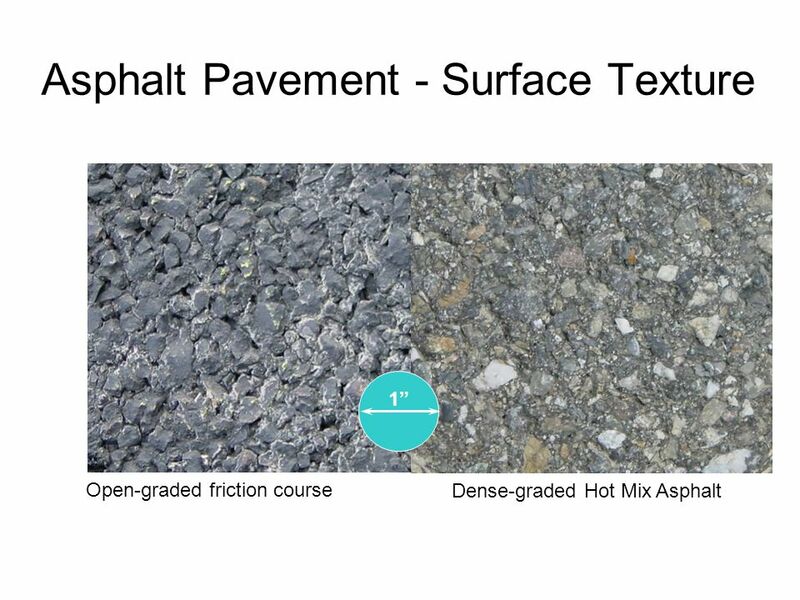 Next Generation Concrete Surface Industry Innovations in Quiet Pavement Technology. 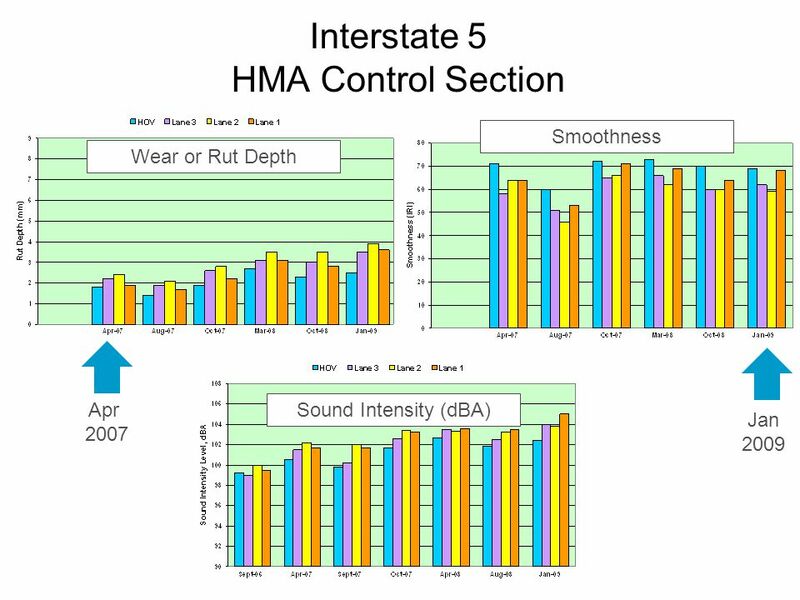 HMA Design (Surface) The surface course is the layer in contact with traffic loads and normally contains the highest quality materials. It provides characteristics. 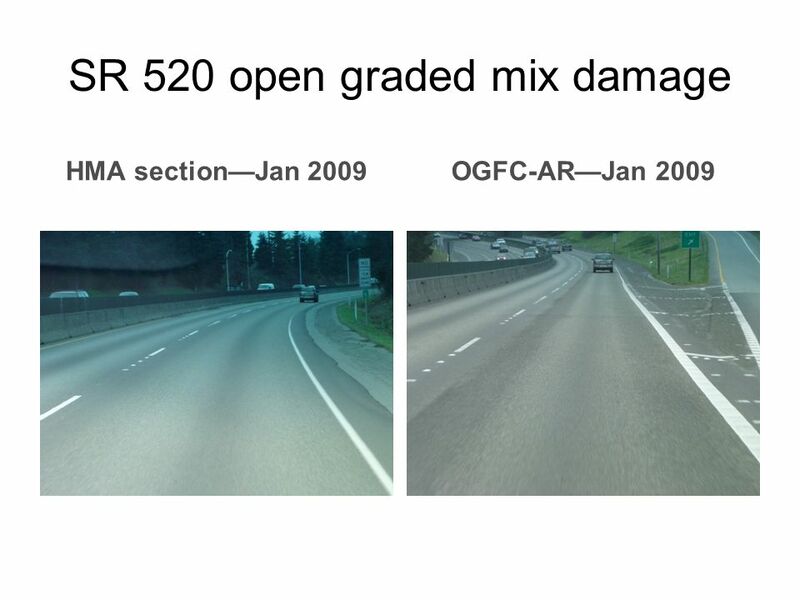 Asphalt Specification Changes July 2005 Contractor Asphalt Training Rich Hewitt, PE District Bituminous Engineer District Five Materials & Research. 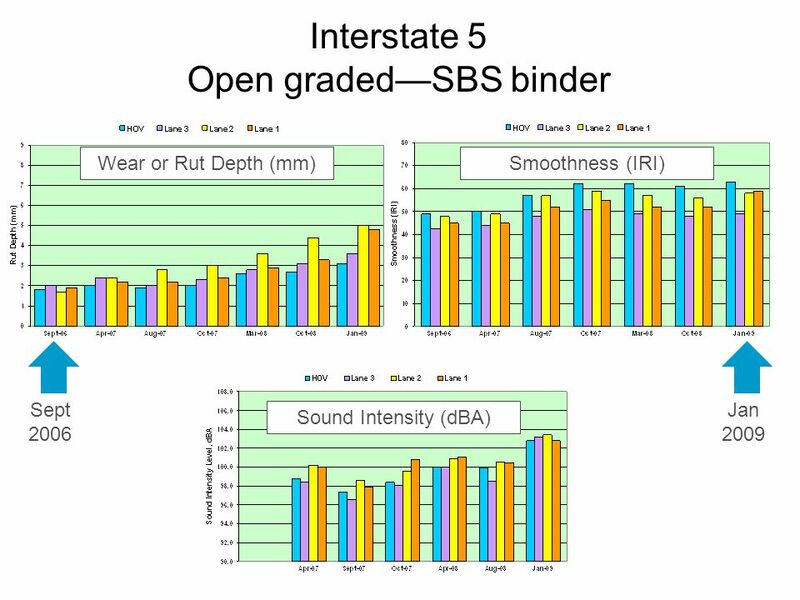 22 nd Conference Roads and Works Asphalt Trial – Outcomes so far Rod Ellis Board Member IPWEA SA. 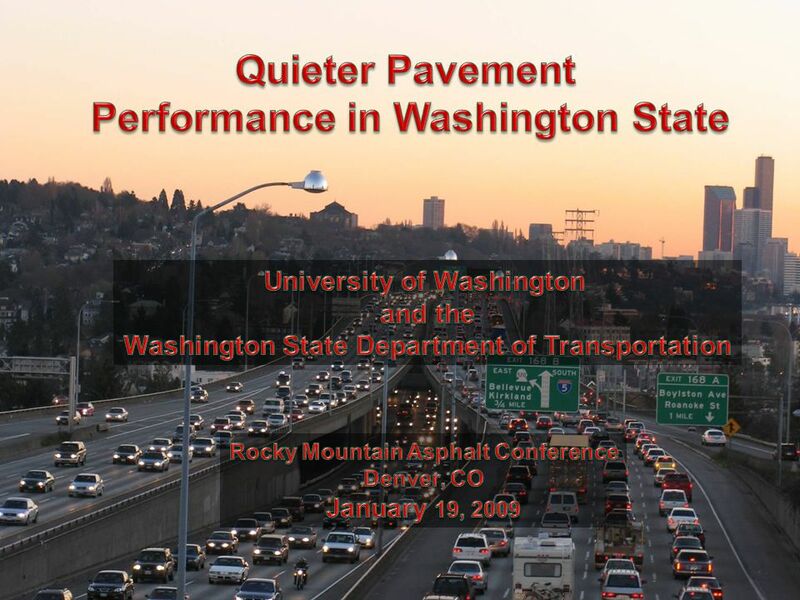 Highway Noise Issues Public is Demanding Quieter Pavements! 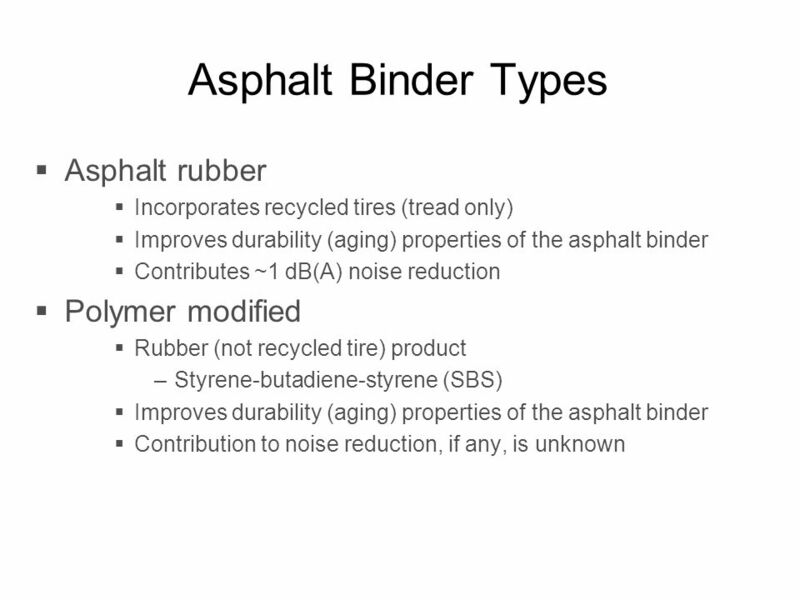 Governor’s Derby Breakfast, Louisville, KY.
Asphalt-Rubber Systems Types and Uses. 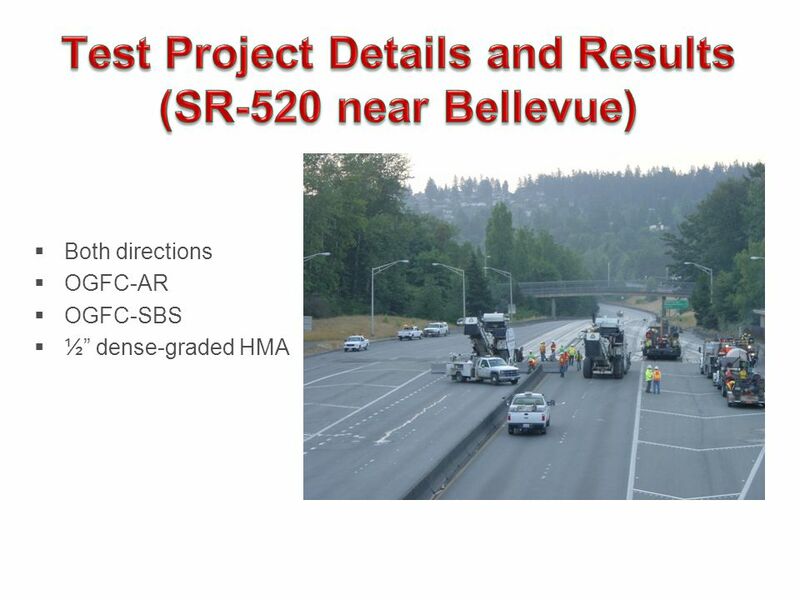 Types SAM Stress Absorbing Membrane SAMI Stress Absorbing Membrane Interlayer ARC - DG Asphalt Rubber Concrete. 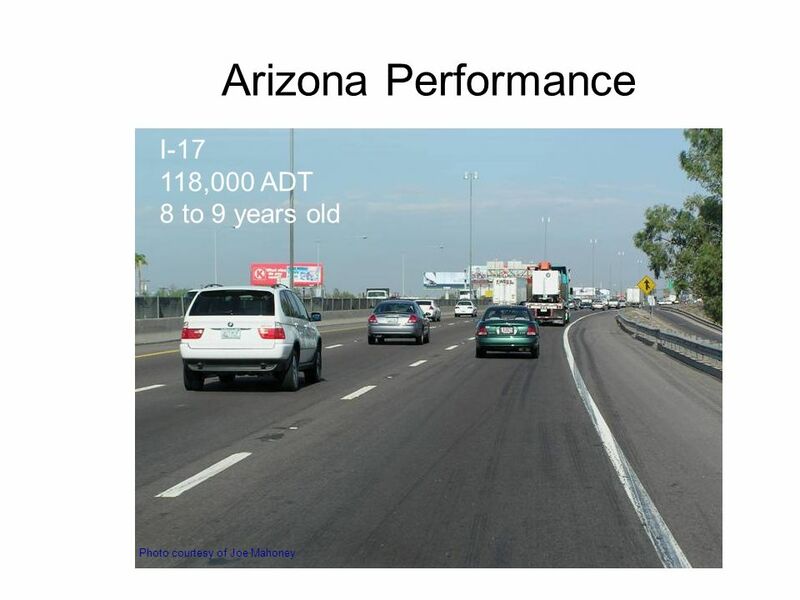 Michigan Department of Transportation Perpetual Pavement Rep. Rick Olson’s 2012 Best Practices Conference on Road and Bridge Maintenance Curtis Bleech. 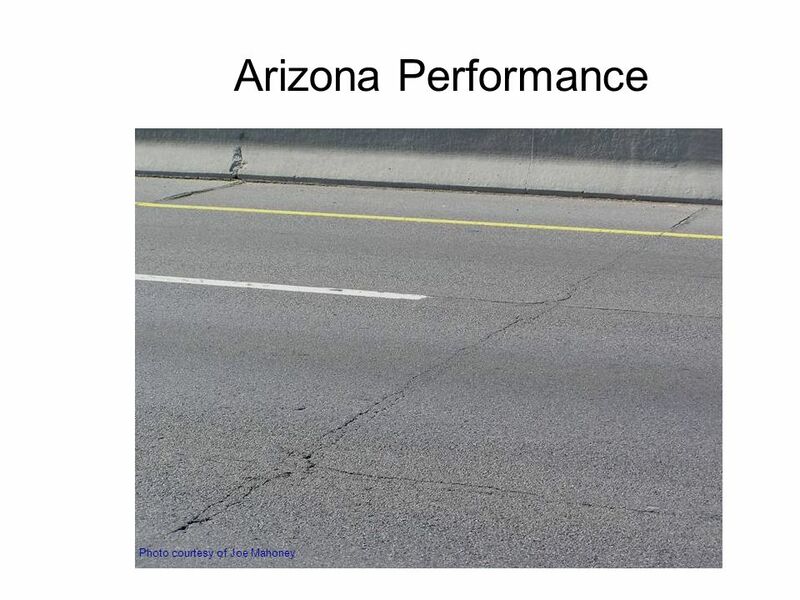 Asphalt Rubber Asphalt Concrete Friction Course Overlay as a Pavement Preservation Strategy K. Kaloush, K. Biligiri, M. Rodezno, M. Belshe Arizona State. 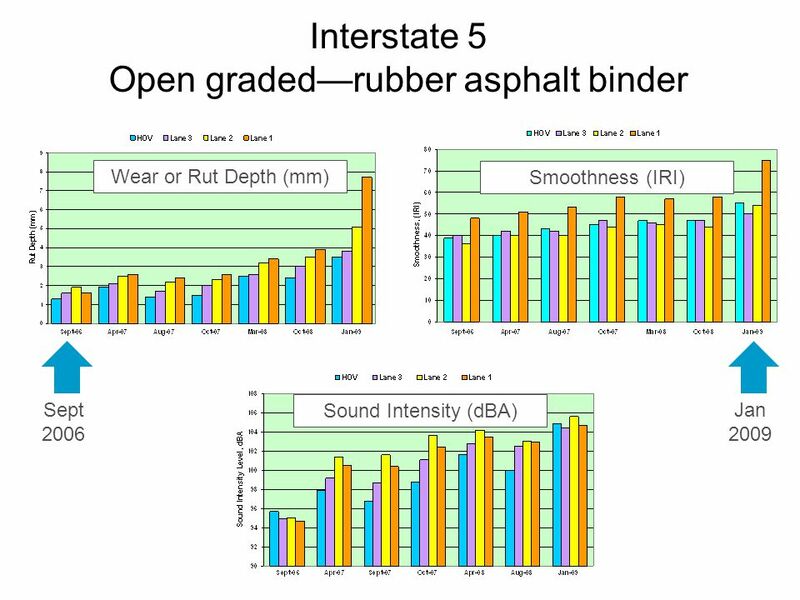 Pavement Surface Characteristics 9 th Annual Concrete Conference The Crowne Plaza Timonium, Maryland March 24 th, 2009 Leif Wathne Larry Scofield. 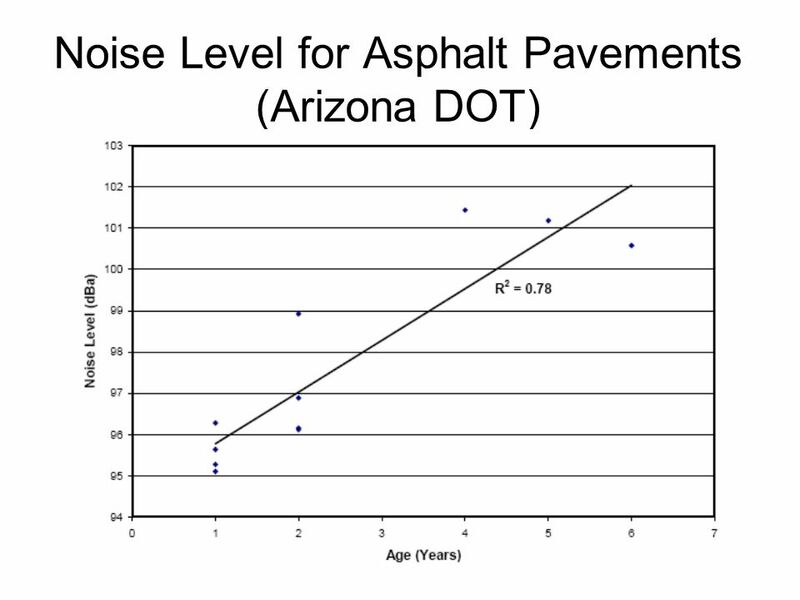 The History of Pavement Noise and New Directions in Arizona. 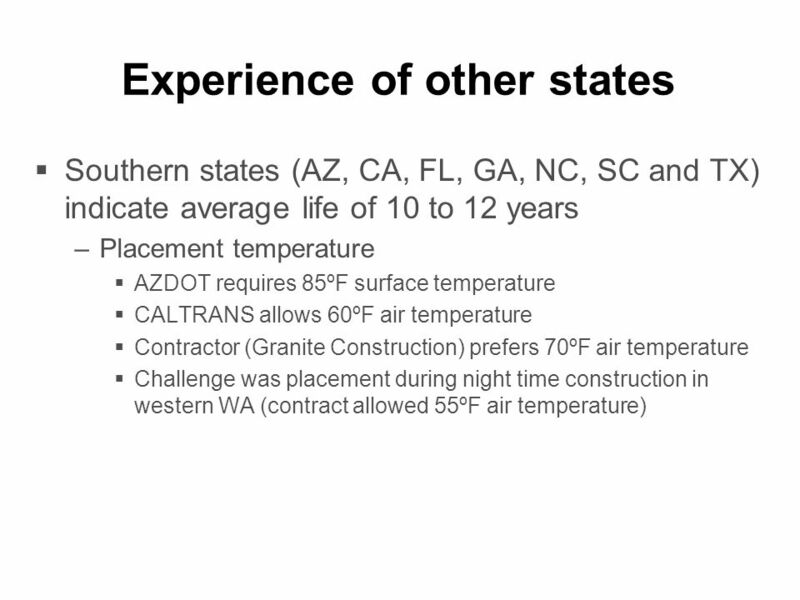 Thermally Insulated Concrete Pavements: Life-Cycle Cost Analysis Methods and Preliminary Results January 10, 2011 John Harvey Nick Santero Lev Khazanovich.